NewsHome » News » Moflash News » Moflash Success at Hannover Messe 2010! Moflash Success at Hannover Messe 2010! Unbeaten by the volcanic ash disruption and after an 8 hour drive! Hannover Messe saw the safe arrival of Marc Bailey and Simon Evans, Directors of Moflash. 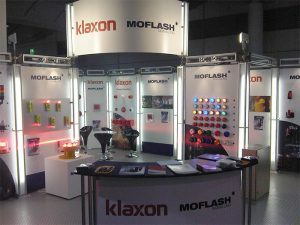 Moflash successfully launched its 2010 Product Catalogue on a bespoke stand that displayed all their latest promotional ranges including: X80/LED80 Beacon Ranges and Obstacle Marking: Low Intensity Lights – 10 & 32 Candela, not forgetting the fresh new look LED Multi-Functional 125 Series. “The show was surprisingly busier than we first expected given the air disruption” says Simon Evans, Sales Director for Moflash. “We are pleased that so many of our customers made it to the show, reinforcing our strong relationship across our distribution network”. 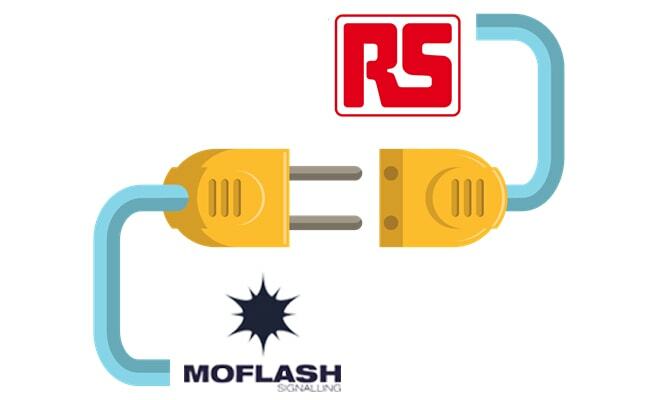 next post: See Moflash Products at These Events!